In a collaborative approach and effort, the anti-corruption Agencies namely:the Inspectorate of Government (IG), Public Procurement and Disposal of Public Assets Authority (PPDA), Office of the Auditor General (OAG) , Justice Law and Order Sector (JLOS) and Directorate of Ethics and Integrity (DEI) have come together to form a 'syndicate of anti-corruption agencies to counter all forms of corruption. This collaboration is supported by the German Government through Deutsche GesellschaftfürInternationale Zusammenarbeit (GIZ), under the Governance and Civil Society Programme. Every year, a special week is set aside in Uganda in respect of the fight against corruption. The United Nations (UN) General Assembly by resolution 58/4 of 31st October 2003, designated 9th December as the International Anti-Corruption Day. 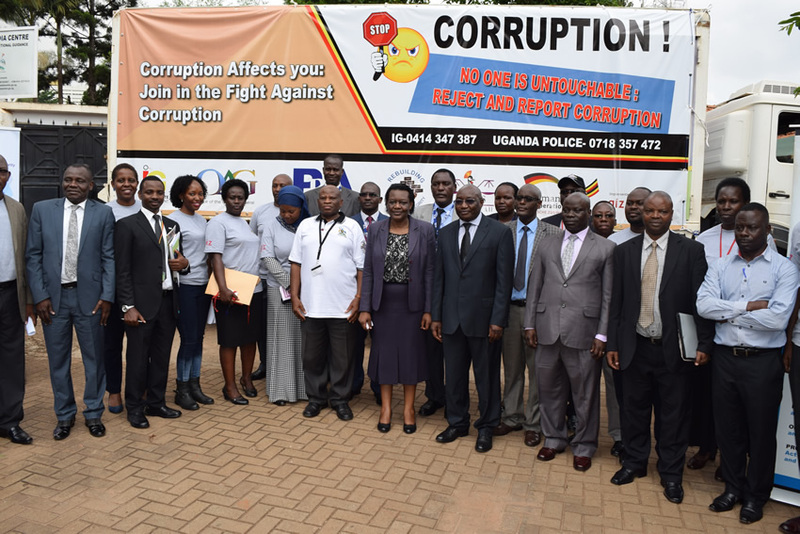 In Uganda, the focus this year is on engaging the public under the theme: Restoring Integrity in Public Service; Regaining Citizen Trust in the Anti-Corruption Fight." As one of the activities to mark the Anti-corruption week 2017, Boardroom sessions are being held with different sectors of the public service aimed at developing a robust internal anti-corruption system within all government Ministries, Departments and Agencies to handle corruption cases internally before they are handled by the anti-corruption agencies.